Trying to potty train my spirited toddler is like trying to squeeze a wet orange through a toilet paper tube while your hands are covered in soap. I feel like every time we take a step forward, we shoot through space and find ourselves on the other side of the planet. I can’t tell you how easy it is to play the game, though, which is how I’m going to win (SHE WILL POTTY CONSISTENTLY BY age 3!). 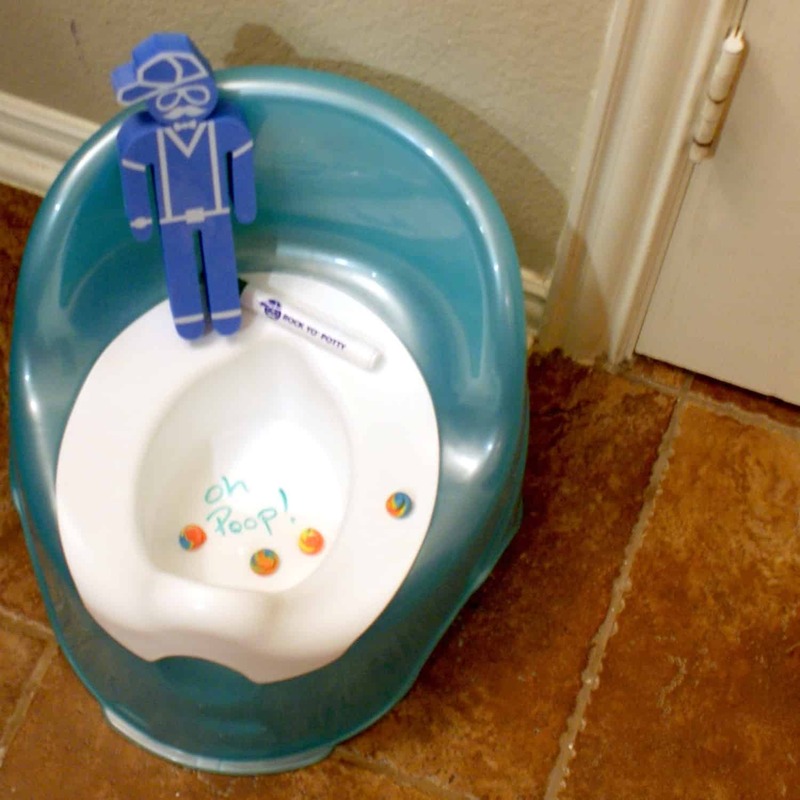 This is my plan for How to Potty Train a Spirited Toddler in 5 Easy Steps. Potty Party. Yes, we are going for a potty party–every time. That means, if she potties just a drop or two, we whoop and holler and praise, praise, praise. Every. Time. Consistency is key. We’re partying with the Potty Rocker (check out their kickstarter campaign!) after a peepee in this cute instagram…she can doodle on the potty all day after she potties. Flushy-Times. Something about flushing makes pottying more fun. So, we’re going to flush some stuff. Conveniently, the Potty Rocker kit comes with rainbow poop to flush. But, we can flush other things–like toilet paper, or real poop. We might even flush toothpaste (squirt it out of the tube first and not flush the tube–we’re smarter than that!) or shaving cream. The thing is, we just want to make it fun to flush. Treats & Rewards. We have a special treat (peppermints) that we get when we even sit on the potty. If we ACTUALLY potty, we get party, a peppermint and some more goodies like a sticker. Patience. This is just about the biggest thing. There’s no “how to train a spirited toddler” advice list that would ever NOT include this. This means no yelling in the bathroom. No anxiety or upsets–we go at her pace. She’s the one going after all. She even gets a cute “potty friendly” book to read while she’s being patient (comes in the Potty Rocker kit). No rushing. I said “patience”. That didn’t just apply to the moment. That means that we’re not going to rush. No matter what. If I’m rushing, I’ll be frustrated and that won’t work out well. Pottying needs to be a positive experience, not a fast one. We’re going for long-term pottying here, not just one time…So, maybe it’ll take a year for us to get consistent, but that’s ok. No rushing will equal longer success. 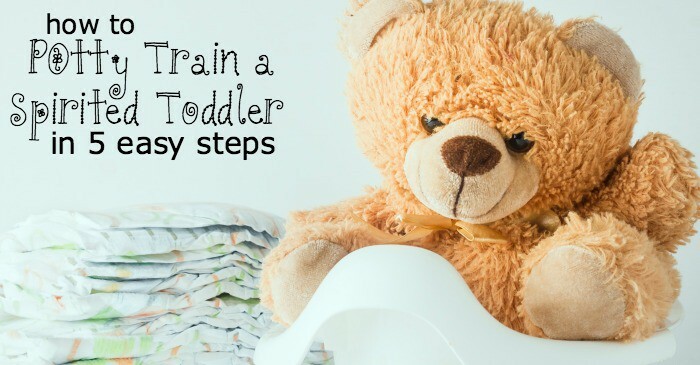 I hope this advice offers you some help in training your toddler to potty. It’s working so far for us. We have our moments (I mean, seriously, she’s like an octopus when you try to wrestle her back into pants), but we are pottying more and more in the potty and less in our diapers. So, that’s something! Please note: This is a sponsored conversation written by me on behalf of The Potty Rocker and Mad Meg Creative Services. The opinions and text are all mine.